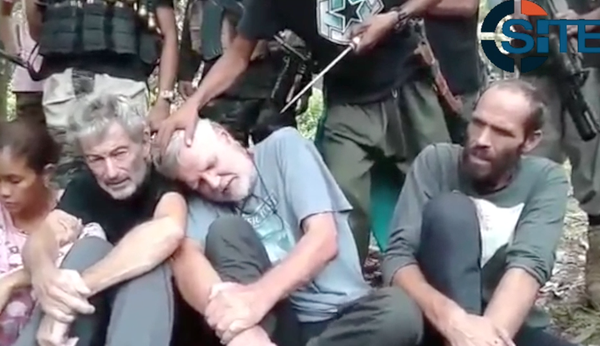 Stewart Bell | November 3, 2015 10:57 AM ET (National Post) The Abu Sayyaf terrorist group released a video Tuesday demanding more than $100-million for the release of four hostages, including two Canadians, who were kidnapped from a resort in the southern Philippines in September. 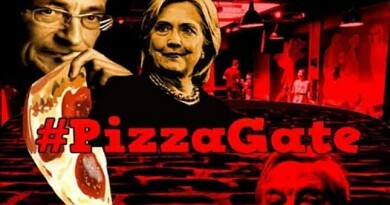 The 90-second video obtained by the SITE Intelligence Group showed black-clad gunmen standing over Canadians John Ridsdel and Robert Hall, as well Hall’s girlfriend Marites Flor and Norwegian Kjartan Sekkingstad. “We’re being ransomed for each for one billion pesos. 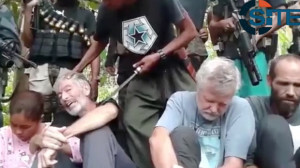 I appeal to the Canadian Prime Minister and the people of Canada, please pay this ransom as soon as possible, or our lives are in great danger,” Ridsdell, 68, said as a man held a machete above his neck. It was the second video released by the armed Islamists since they kidnapped the four from a marina on Salam Island on Sept. 21. As with the first, this one also featured the flag of the Islamic State of Iraq and the Levant in the background. A man standing behind them then said if the demands were not met, “they will be killed by Abu Sayaaf.” The fighters then chant. Founded in the 1990s, Abu Sayyaf is a militant Islamist group that wants to impose its version of Islamic law in the southern Philippines, according to the Public Safety Canada website. 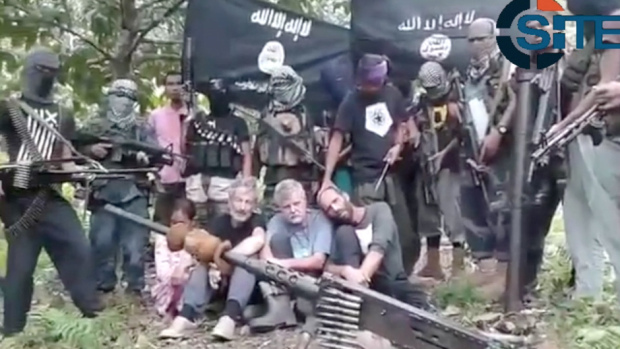 The Abu Sayyaf Group (ASG) is on Canada’s list of terrorist entities. 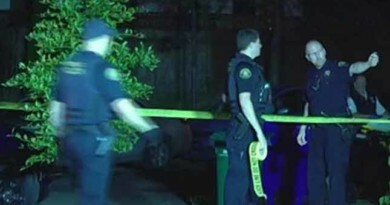 Home invasion thug stabs 75-year-old man, 80-year-old wife blows thug away! 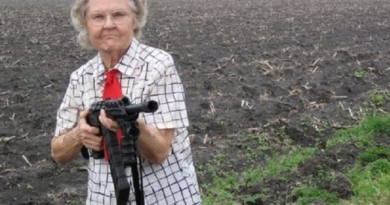 May 1, 2016 Christina Vixx Comments Off on Home invasion thug stabs 75-year-old man, 80-year-old wife blows thug away!